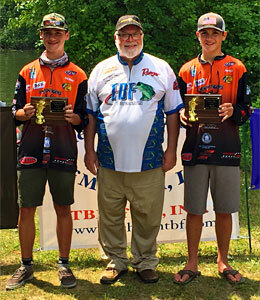 2018 TBF of Michigan Junior State Championship winners Henri Sturm and Mitchell Straffon pose with president Dave Reault. 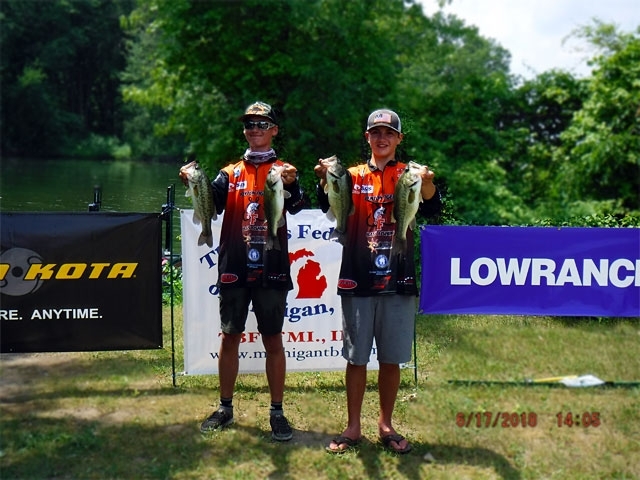 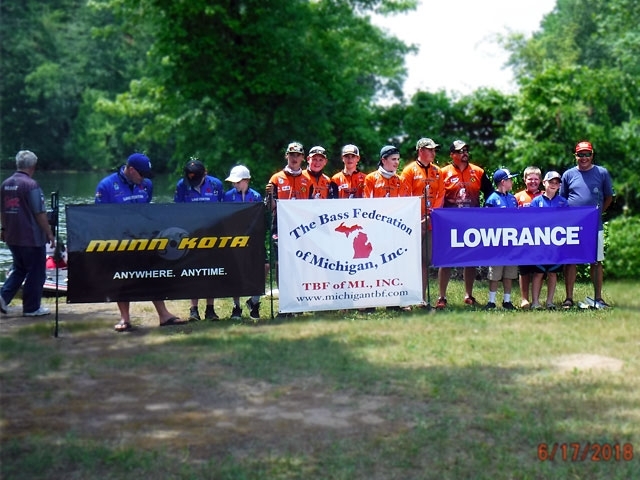 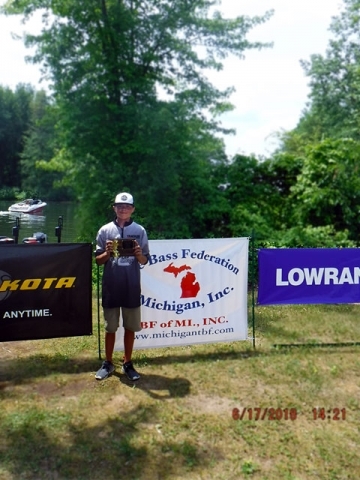 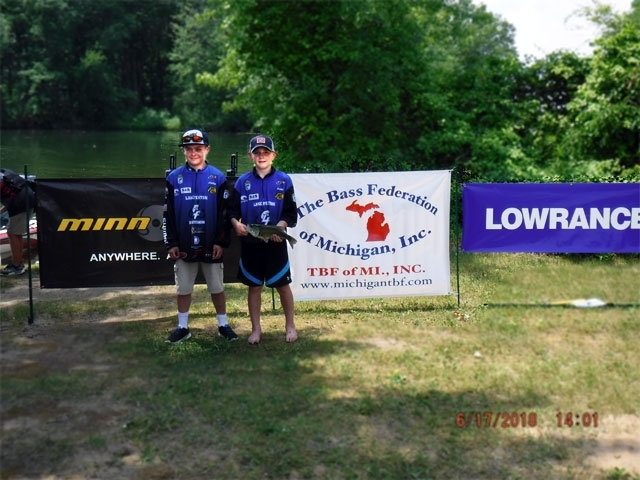 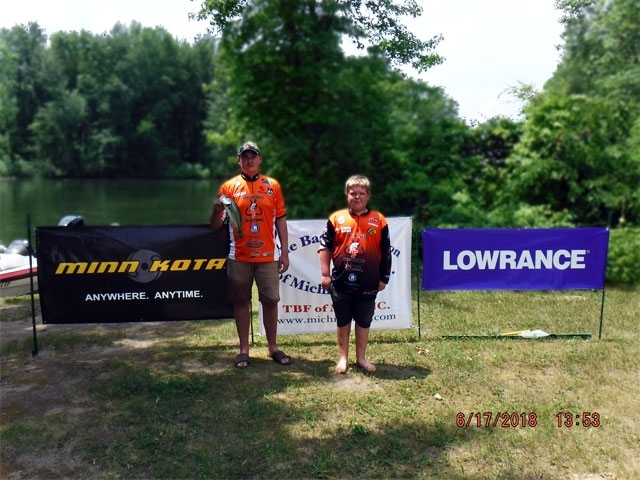 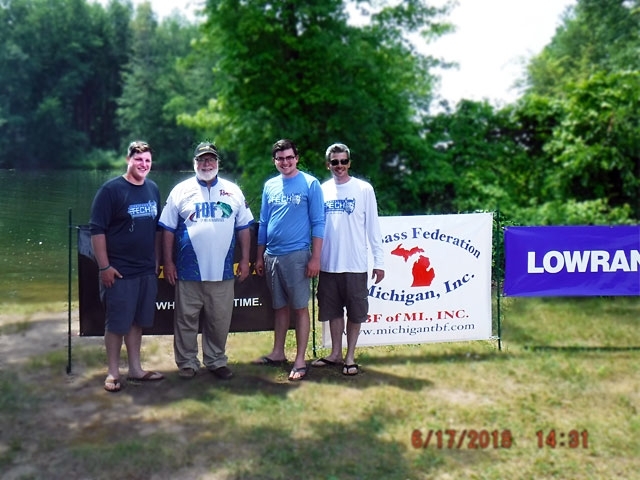 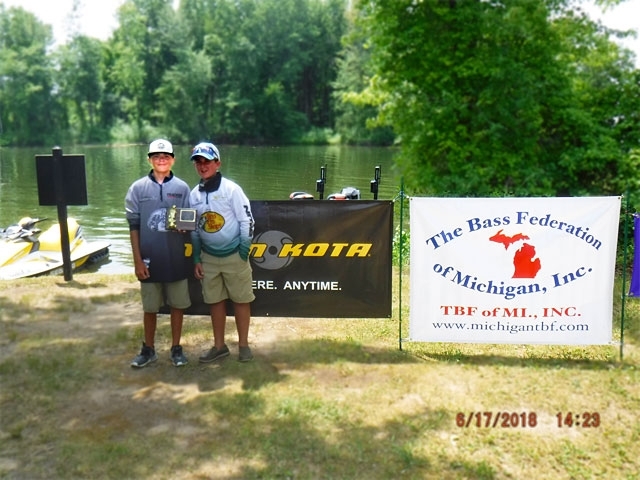 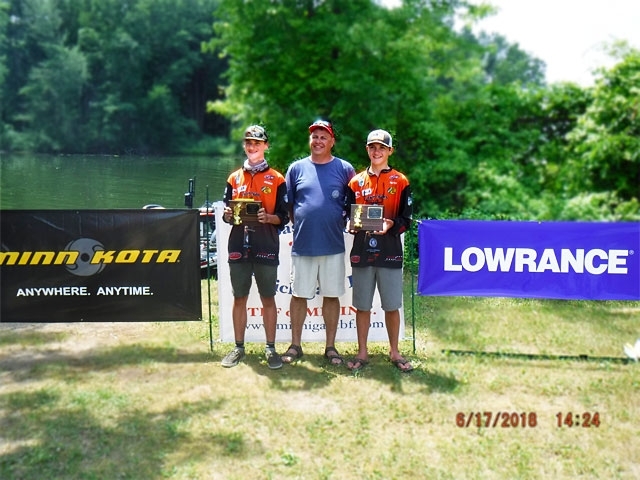 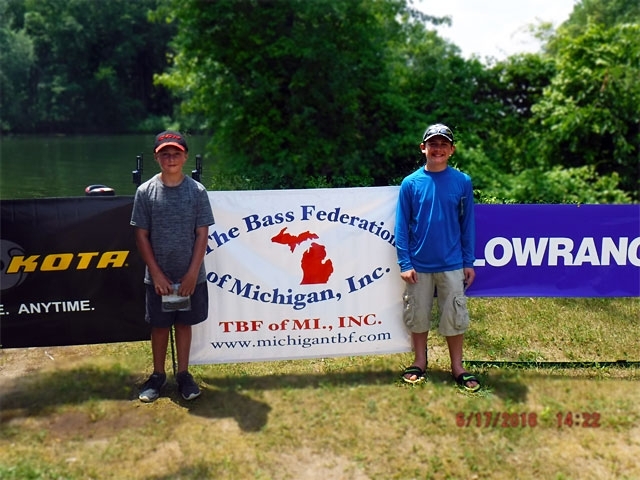 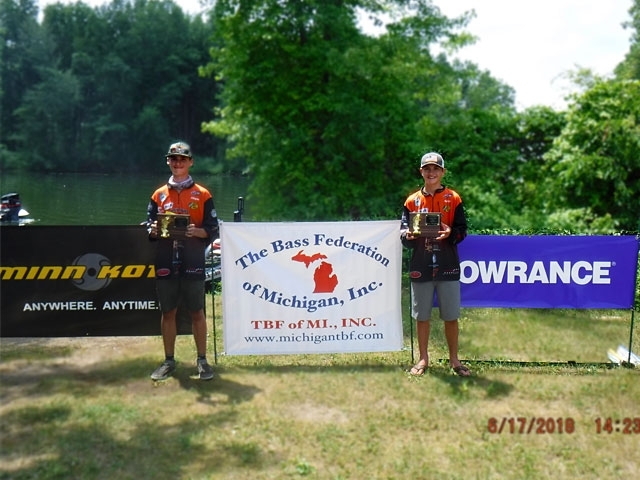 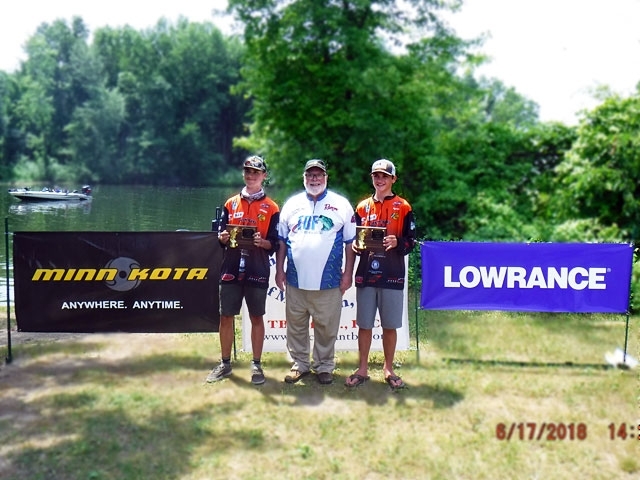 Congratulations to Henri Sturm and Mitchell Straffon for winning the 2018 TBF of Michigan Youth Junior State Championship at Pontiac Lake on June 17. 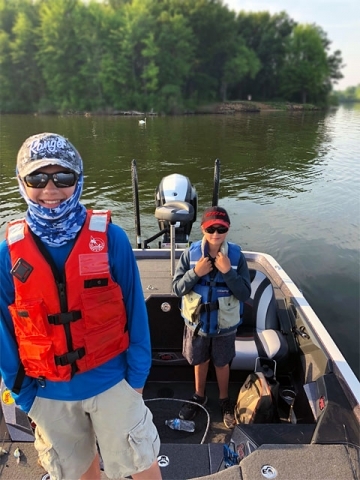 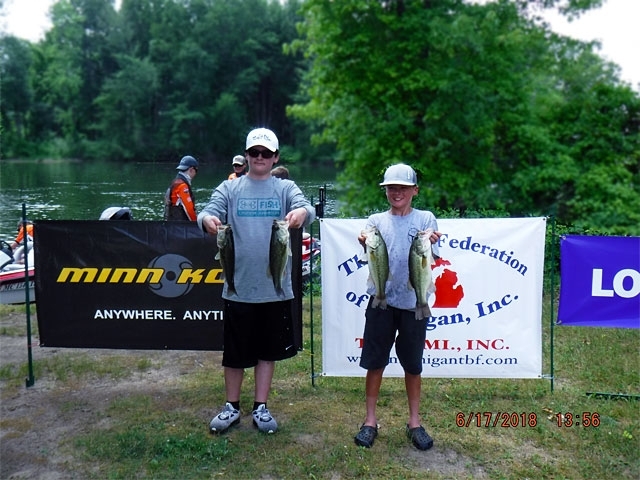 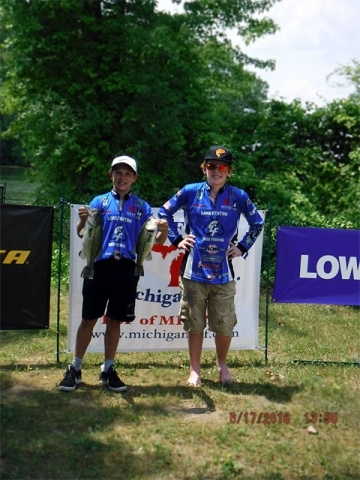 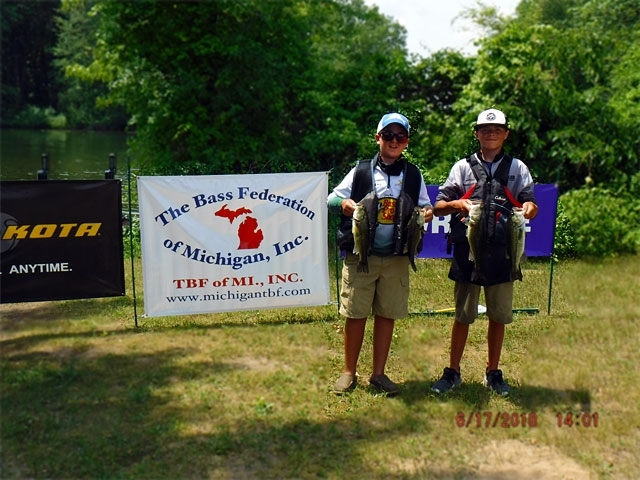 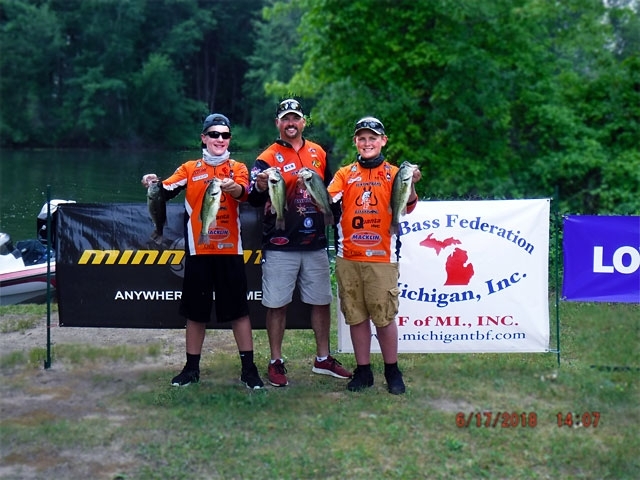 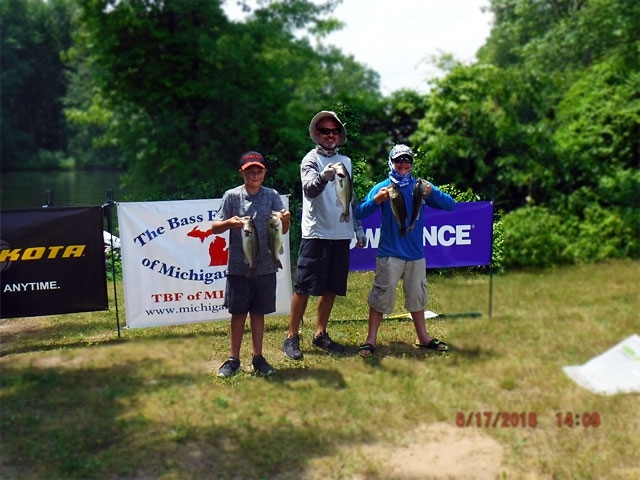 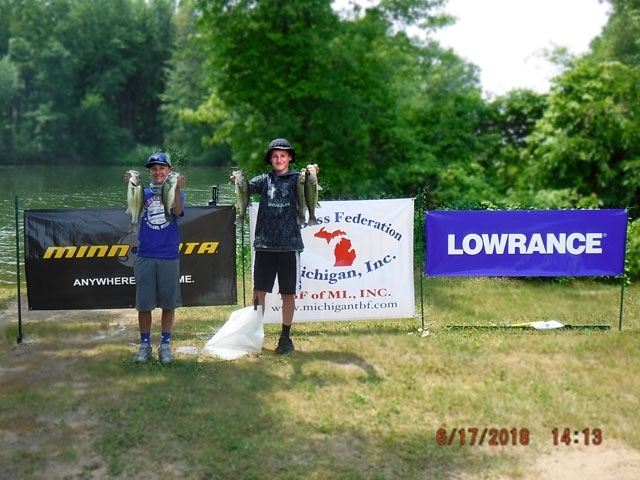 Mitchell and Henri weighed 5 bass for 11.52 pounds for the win, and will represent Michigan at The Bass Federation Junior World Championship in August! 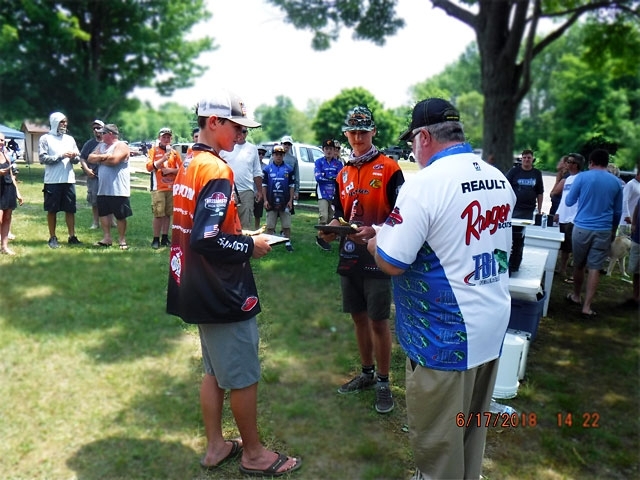 Scott Dobson and Vincent Gianinni were second with a close 11.19 weight. 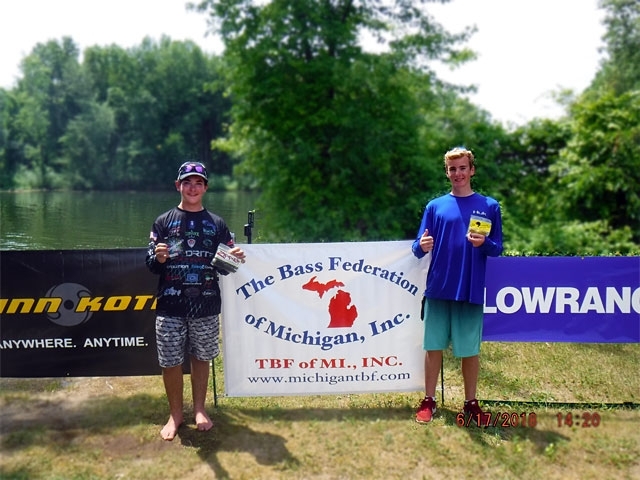 Cole Carr and Remington Barkley rounded out the top three. 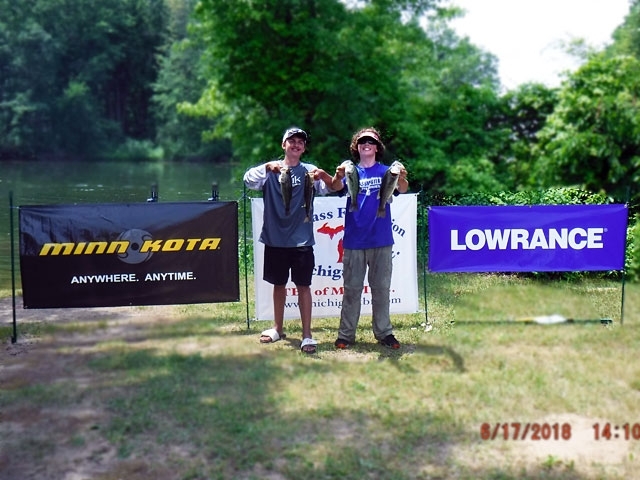 Garrett Bagnall and Conner Christenson took big bass honors with a 3.01 pound bass. 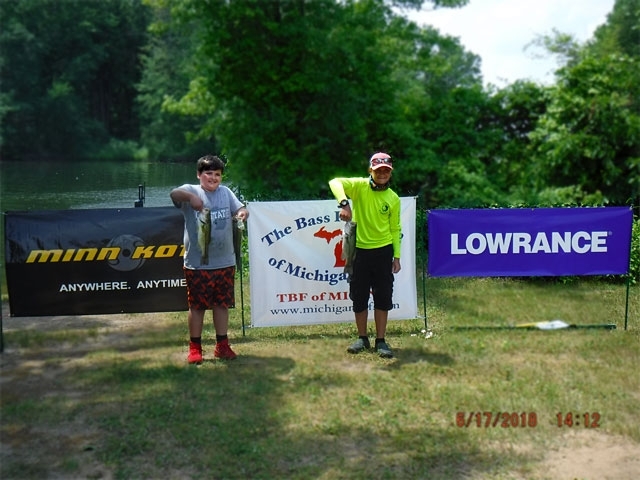 See the complete results below. 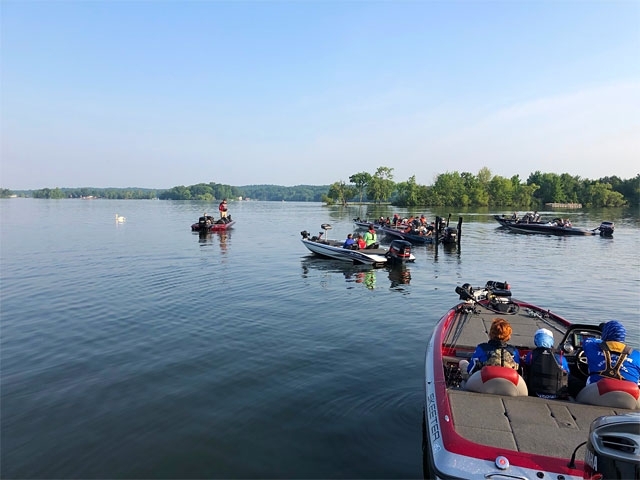 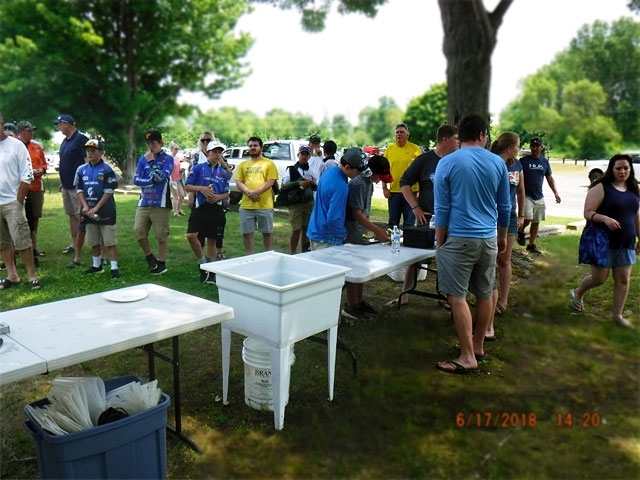 It was a great showing for all the youth with 6 five-fish limits weighed on a day with sweltering heat and having to share the lake with another tournament that launched earlier. 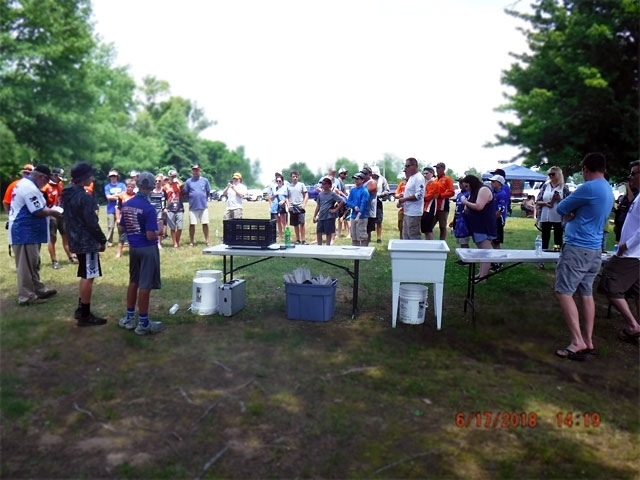 The youth showed a lot perseverance and determination. 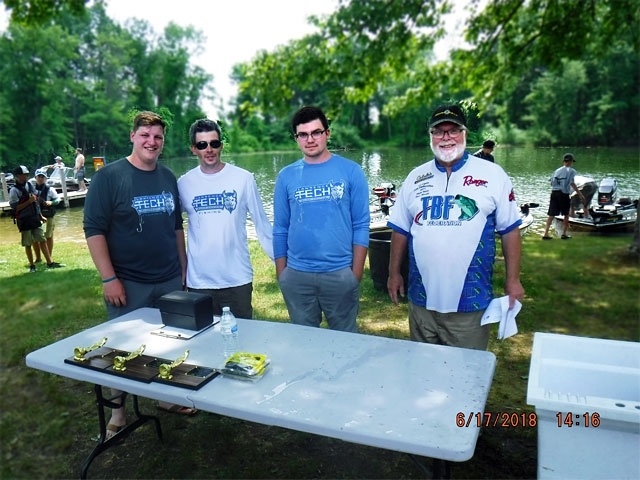 A special thanks to the Lawrence Tech Collegiate Bass Team for their help! 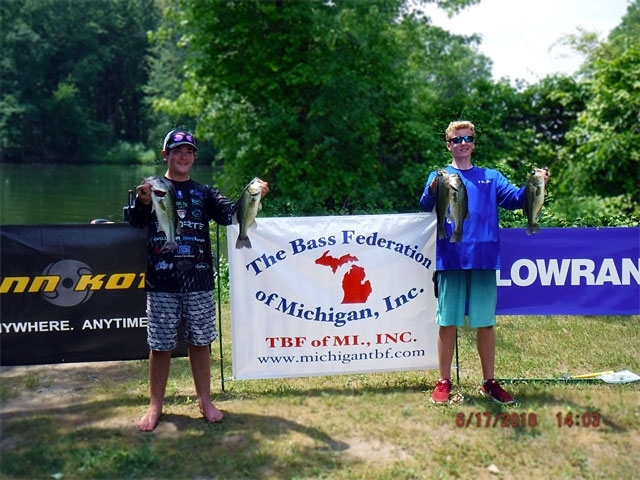 The Bass Federation of Michigan Junior State Championship is our annual youth bass tournament open to all Junior team members aged 11 – 14. 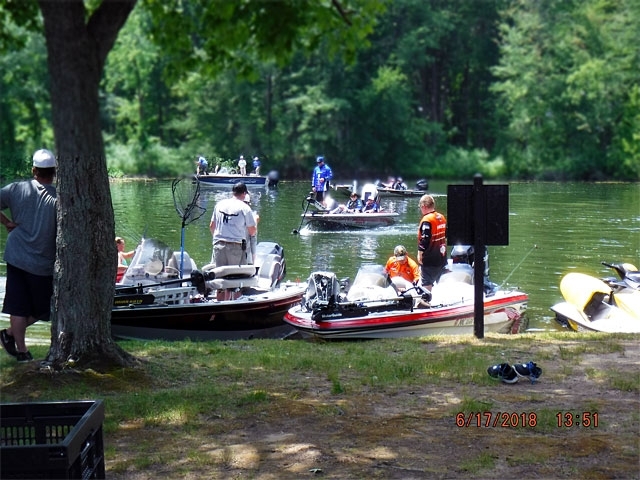 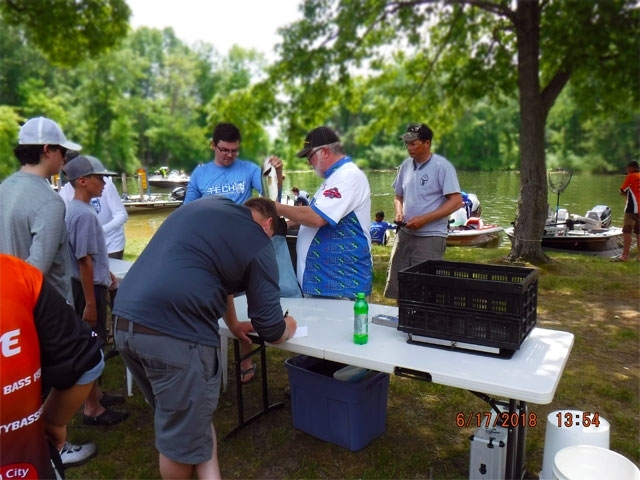 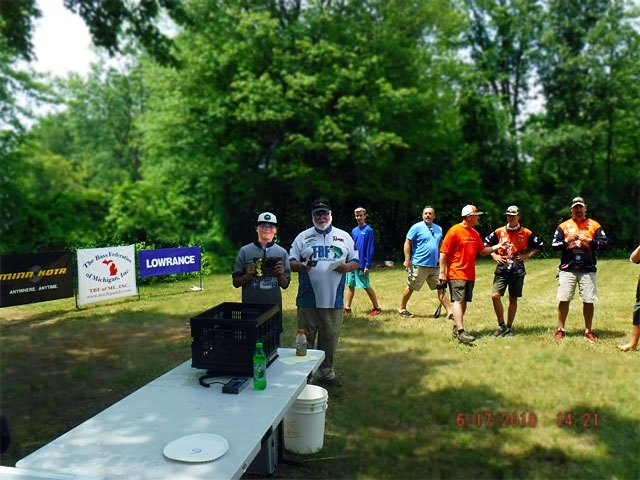 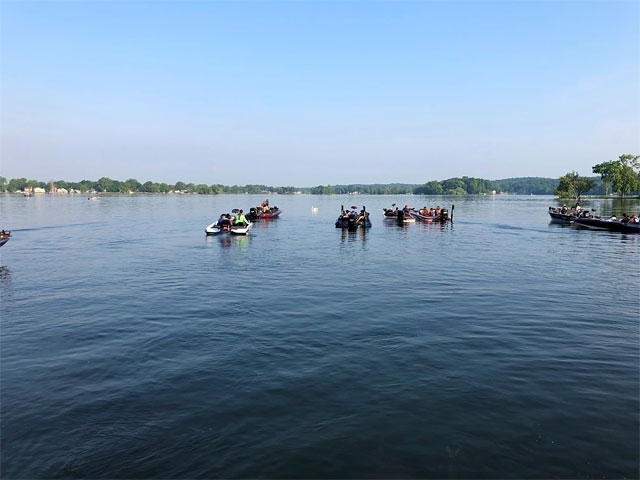 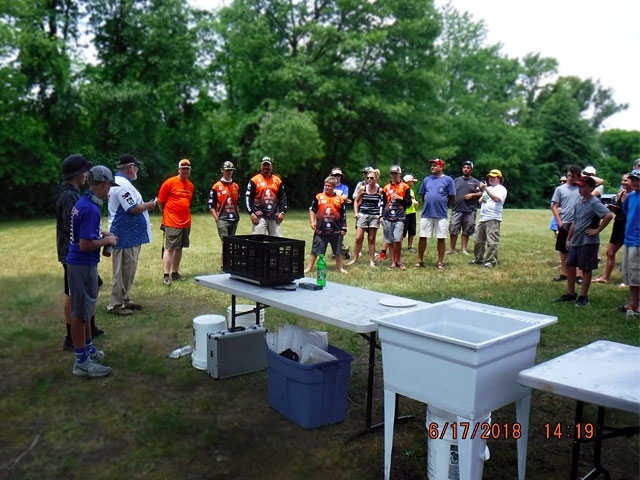 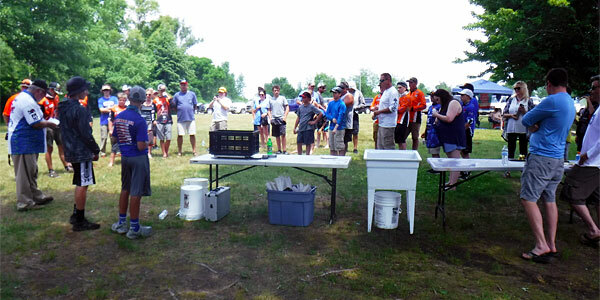 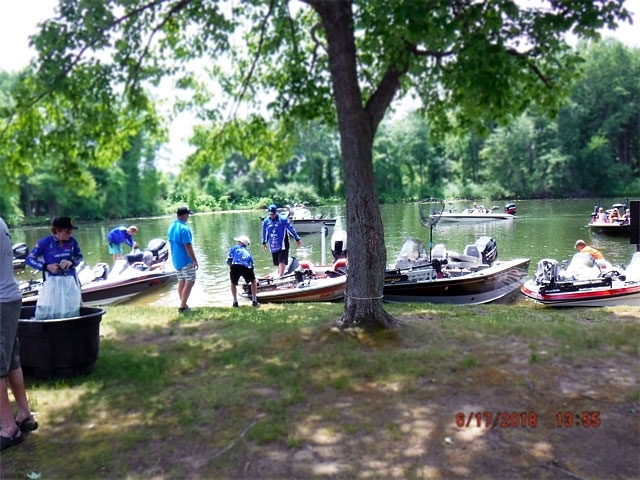 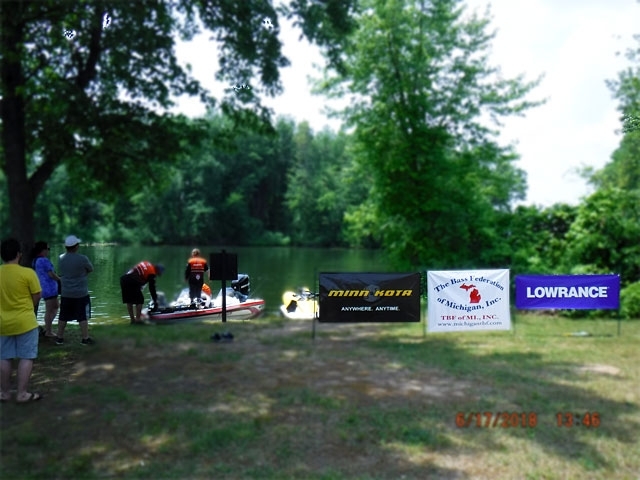 Partiicipants, volunteers and parents prepare for weigh-in at the 2018 TBF of Michigan Junior State Championship June 17 at Pontiac Lake.